Charter fishing for redfish in Tampa/St. Petersburg with Captain Wade Osborne could be described best as “stupid fishing.” At least that’s what Drew Paolella from Madison, New Jersey called it back in 1999 after a charter of non-stop redfish catching. Drew exclaimed “this is stupid fishing, you just cast out and catch one redfish after the other.” Drew’s been coming back to catch redfish ever since. 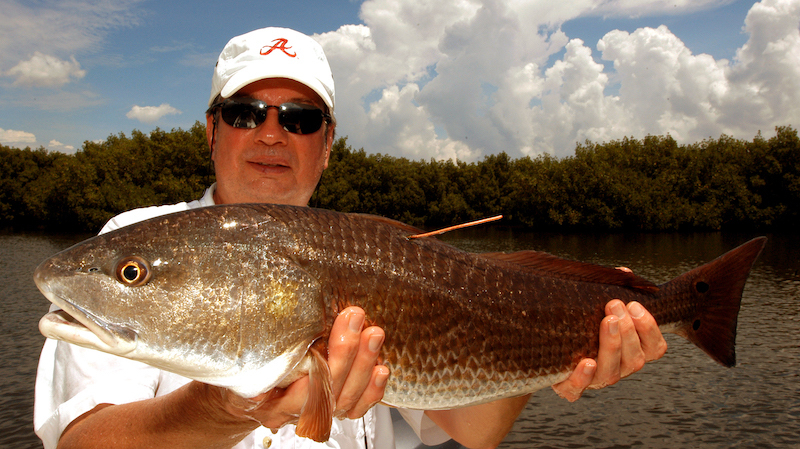 Redfish are often referred to as bulldogs; Tampa Bay’s version of a bonefish, if you will. 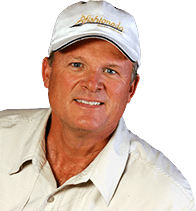 Osborne and many local fishing guides agree that if you took a redfish and a snook of equal size and tied them together tail to tail, the redfish would out-pull and drown the snook. The redfish’s will to survive make it one of Osborne’s favorite inshore species to pursue on light tackle or fly. 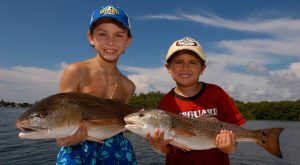 Redfish can be pursued year-round however, from early spring through late fall is when the large schools of redfish invade the local grass flats of Tampa Bay. At times, these schools of redfish can reach from 100–300 fish. 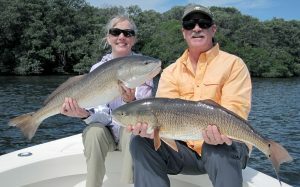 When redfish schools of this magnitude are encountered the fishing or catching rather, can be non-stop for hours on end. One of Osborne’s best redfish charters was on May 04, 2004 with Gary Heaton from American Fork, Utah. Heaton and two other anglers caught 86 redfish from 26 to 34 inches in six hours. 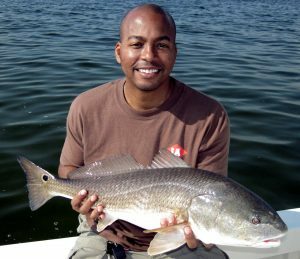 However, he topped that on October 6, 2007 with three anglers from Ocala who caught 96 redfish 26-33 inches in just five hours. During the high tide, redfish cruise mangrove shorelines, oyster beds and grass flats foraging for crabs, shrimp and bait fish. Once located, live-bait chumming makes it possible to hook and land many of these redfish. When a large school of redfish are actively feeding boat-side on chum they will stay put and feed for hours, as long as they are not spooked by other boats. One fish per person, per day.